And, then they were gone. Well, almost. Apple’s “boring” and “disappointing” iPhone 5 sold out within about an hour on Apple’s online store. Now, Verizon and AT&T are reporting they, too, have sold through their iPhone 5 pre-order allotments, as well. 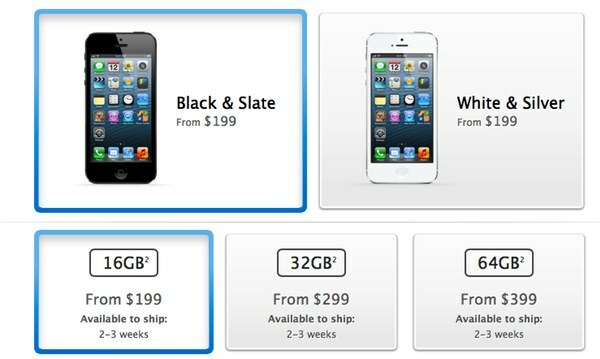 For what it’s worth, at least as of this writing, Sprint still lists stock of the 32 and 64 GB configurations of the iPhone 5 for September 21 delivery. As is often the case with new Apple gear, people that have actually held and played with the iPhone 5 say you shouldn’t judge Apple’s latest smartphone until you actually lay hands on one as it’s ineffably light and thin. Further, as opposed to slabphones from Samsung and HTC, the iPhone 5 can easily be used and controlled with one hand. Toss in iCloud, iOS 6, Facebook integration, a superior camera, excellent battery life and all of the intangibles that only Apple can muster and, yes, the iPhone 5 is a must-have smartphone. Of course, the haters are saying that Apple fan boys and sheeple are fueling the iPhone 5 pre-order fire, but smart folks know better. For those willing to stand in line, Apple, Verizon, AT&T and Sprint stores will all have iPhone 5 allocations for sale on September 21 and, if history is any guide, some people will make out well just by showing up. However, ordering the iPhone 5 online today entails a two to three week.